Cardiff City boss Malky Mackay has been named Championship manager of the month for November. The in-form Bluebirds were unbeaten in November, taking 13 points from a possible 15 with four wins and a draw. 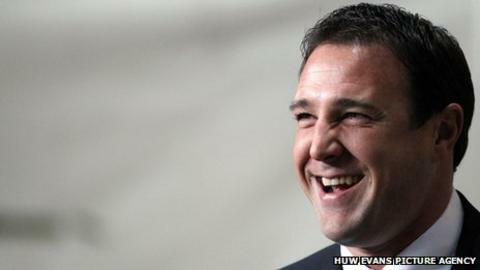 Mackay was nominated with Sam Allardyce (West Ham), Derek McInnes (Bristol City) and Keith Hill (Barnsley). "I'm delighted to accept this on behalf of our whole club. It's an awful lot of hard work from the players," said Mackay. "[It's] the consistency they have shown, and the staff the way they have applied themselves and worked with the players. "Every manager strives for consistency. We have managed to get the team gelling and playing to a high standard regularly." Peter Whittingham was shortlisted as player of the month, which was awarded to Doncaster's Billy Sharp. Mackay, who took over from Dave Jones in the summer, has guided Cardiff City to third place in the Championship. Last season Mackay won the Championship manager of the month award for March for his previous club Watford.